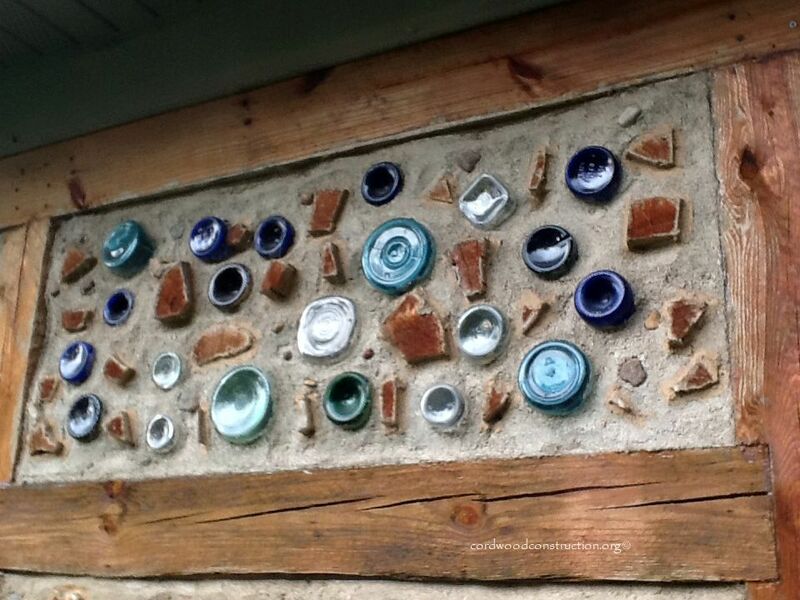 Want to have your cordwood cake and eat it too? 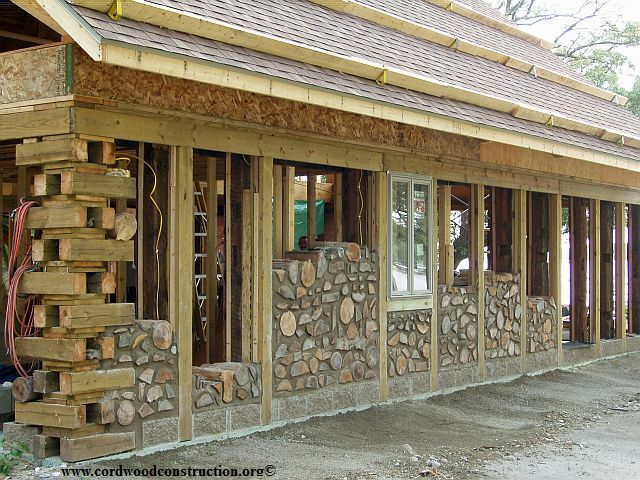 Building a cordwood garage with living quarters is a excellent way to practice your cordwood technique & tuckpointing. In addition it provides a place to lay your weary head after a hard days work. The garage (aka Carriage House) has a room-in-the-attic truss. It allows for a 400 sq. ft. living space in the attic. Water was plumbed into the upstairs, as well as electricity. 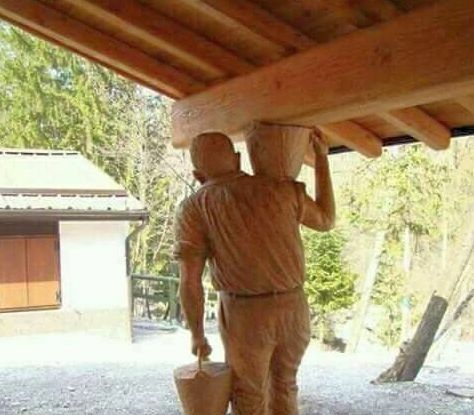 The roof pitch is 8/12. 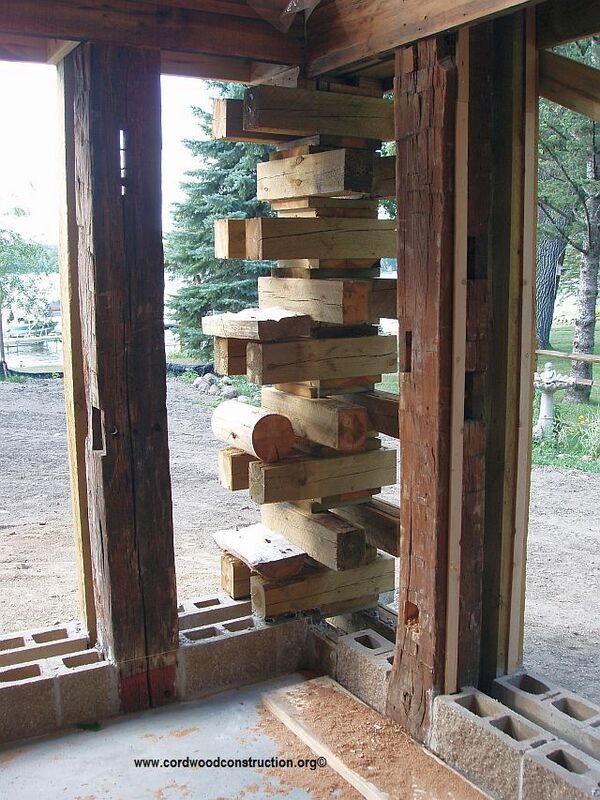 The stackwall corner posts are built at the same time as the post and beam framework. Then the roof is applied and braced. 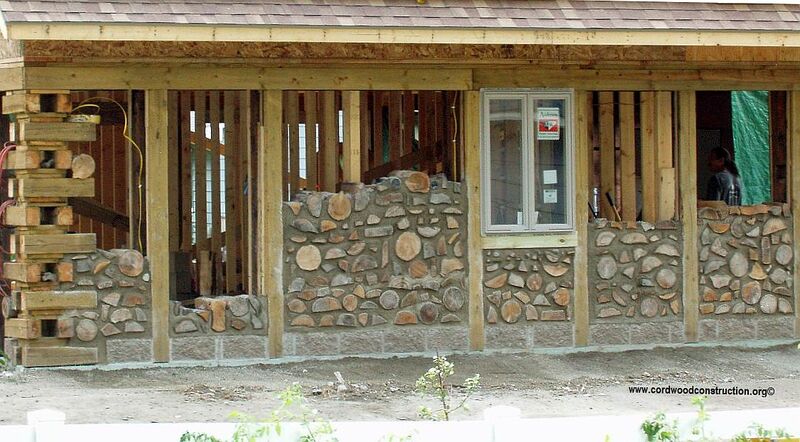 Finally, the cordwood is infilled. 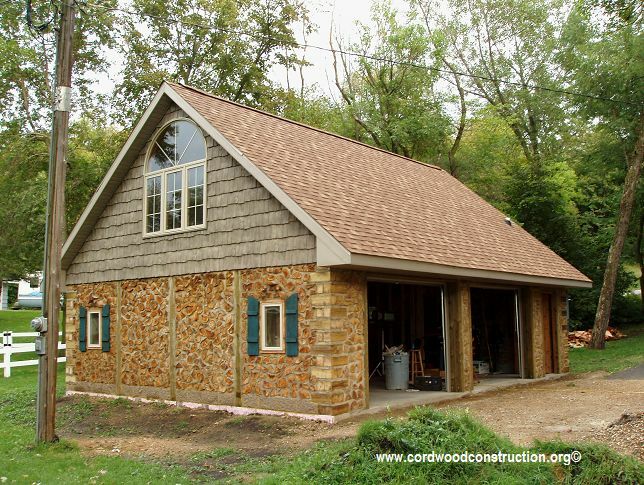 The stackwall corners are a old fashioned way to build with cordwood, but the owner learned a new way to make them so they functioned as a post and allowed the roof to be put on ahead of time. 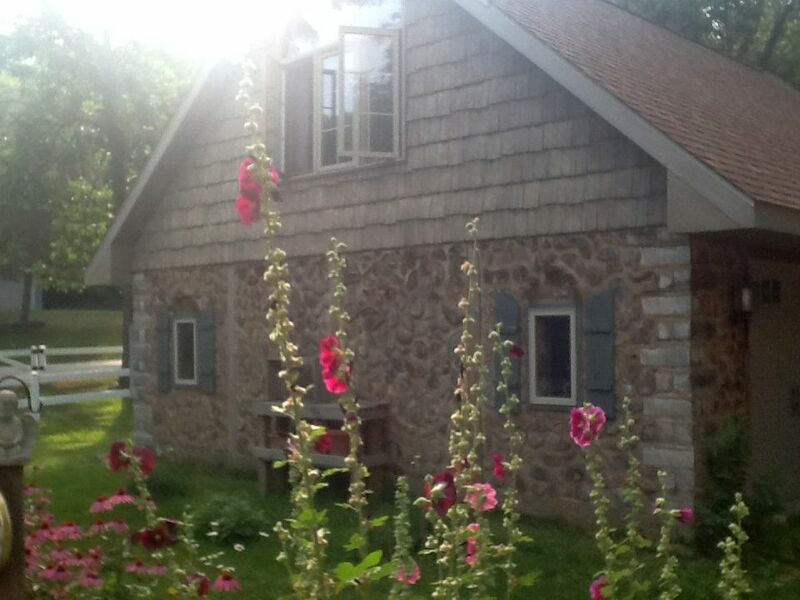 This is the lake home that was built next to the Carriage House in central Minnesota. 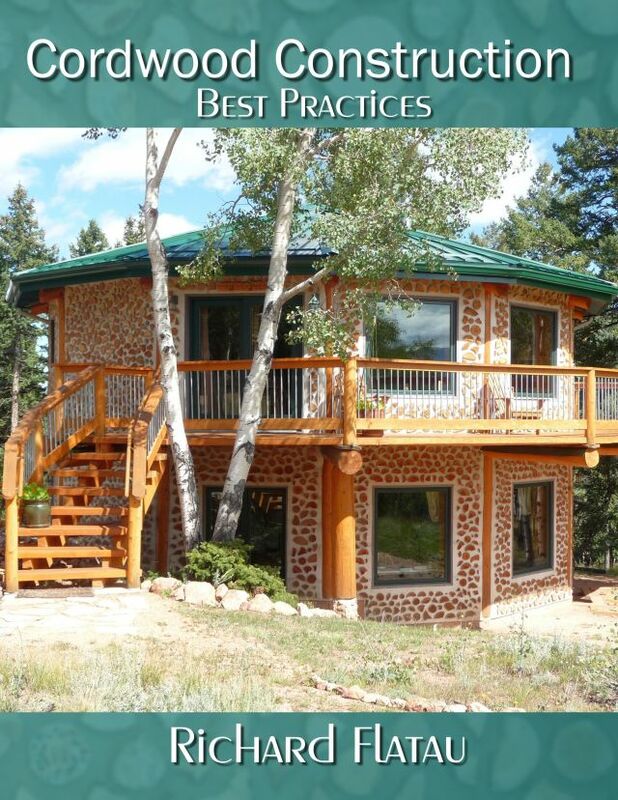 The building inspector/code official requested that pressure treated lumber be used on the exterior framing. 150 year old barn timbers from Janesville, Wisconsin were used for the interior. 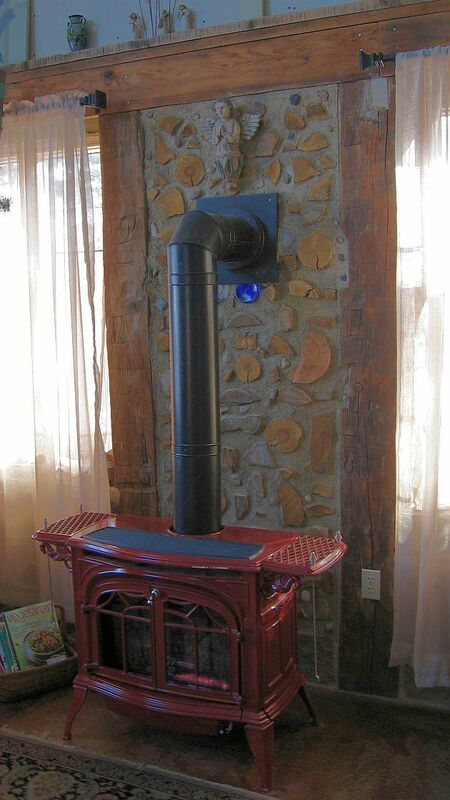 An enamel Vermont Casting wood stove provides heat. (Below)Another look at the framing, the timbers and the stackwall corners. The lake is in the background. 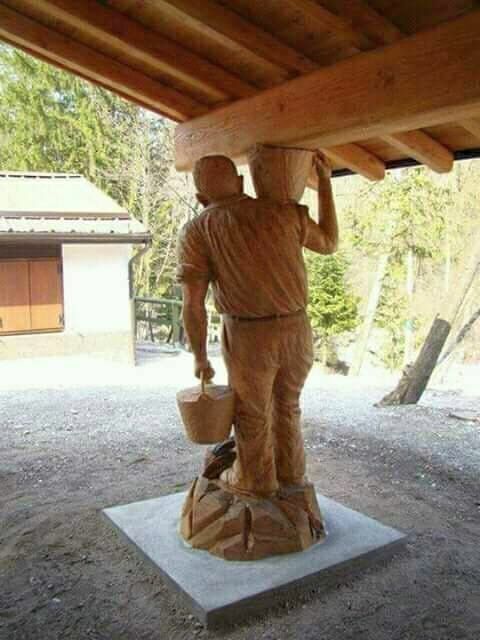 This wood carving would have made a nice corner post, but it would have been very difficult to tuck point. 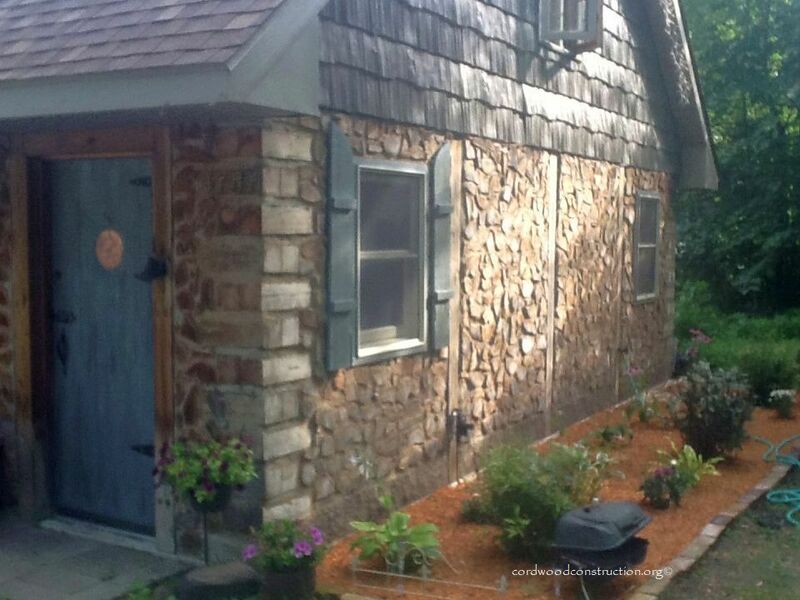 Below are some current photos of the Carriage House. 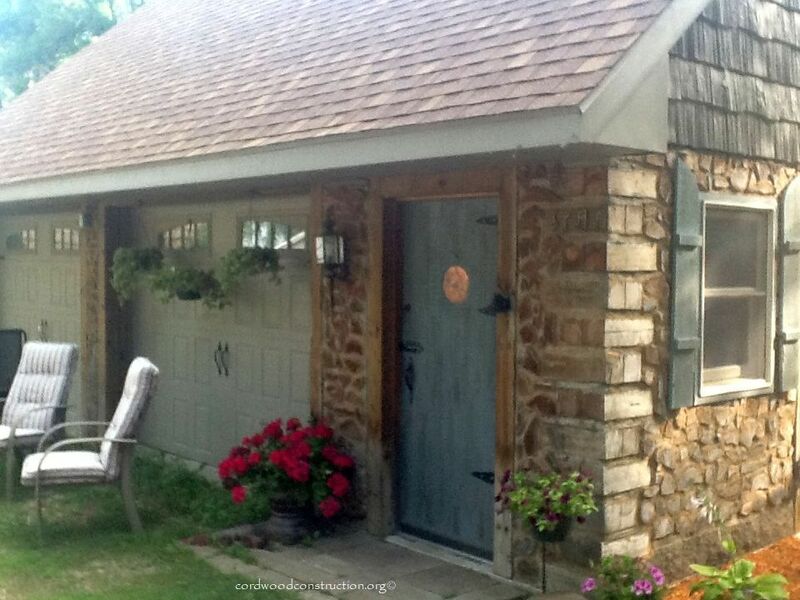 (Below) Matt & Carrie built a similar room-in-the-attic two and a half car garage in Wisconsin. They are very pleased with the upstairs living space. 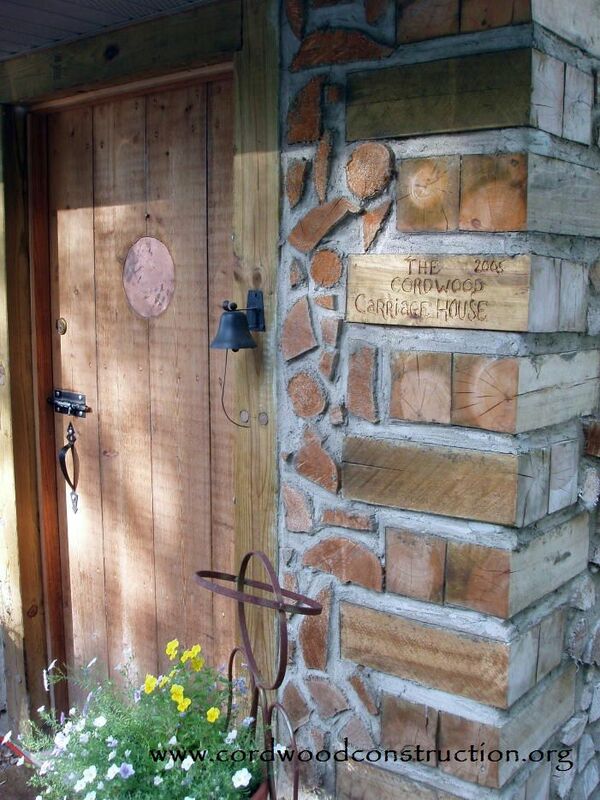 Carrie is an architect, so she had a leg up with exterior and interior design.